I was absolutely thrilled when I heard that the Adventures of Winnie The Pooh was coming out on Blue Ray. (And it came out yesterday!) Honestly -- not for my kids-- but for me. I have so many fond memories of listening to my dad read these specific stories over and over to me as a child. Now that I have kids of my own, I'm lucky enough to get to hear my dad read them to my kids. I was able to watch the DVD last week and I was absolutely transported! It was like being 6 years old again, except in HD. I was so impressed that the video was so clear, while the sound and voices were exactly what I remembered from so many years ago. 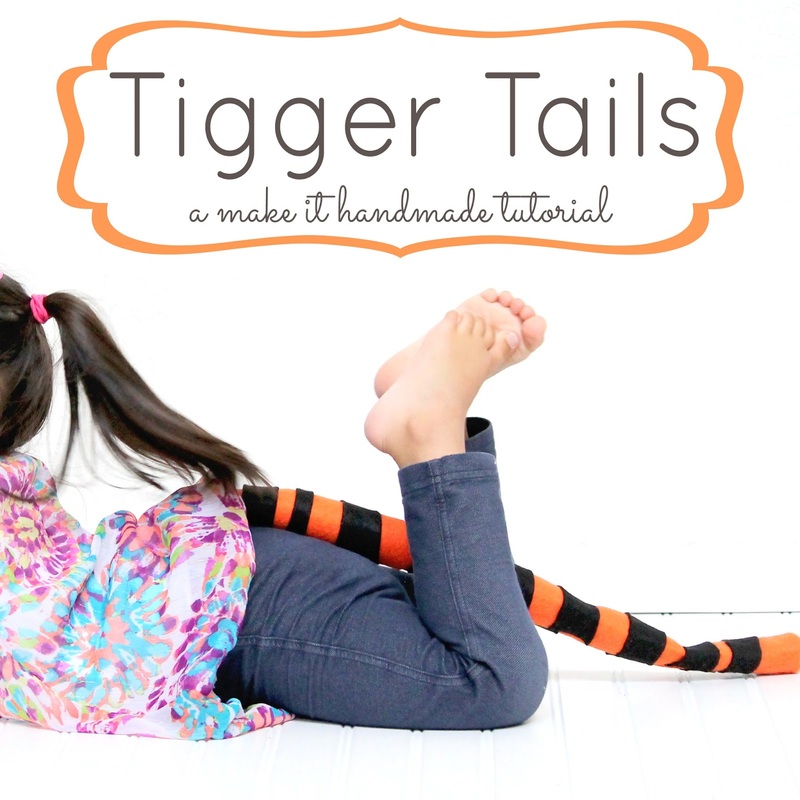 I wanted to make my kids something special for the movie watching, so I came up with these Tigger Tails. And since this is Create With Kids Month, Amaani and I made them together while big brother was at school. This post was sponsored by Disney in conjunction with Blueprint Social. The opinons and fond Pooh memories are entirely my own, though. 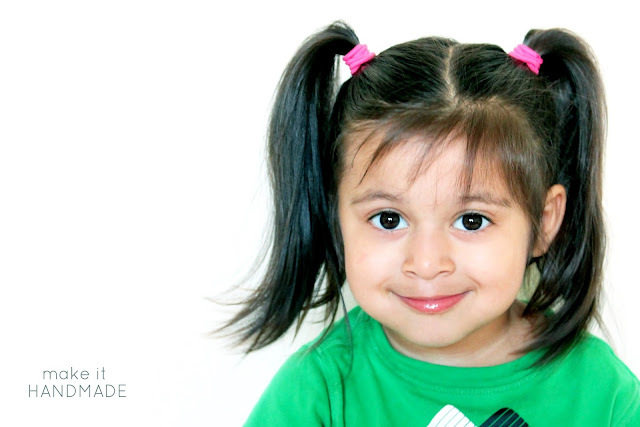 This is an extremely quick project-- I was surprised at how much Amaani enjoyed it. It goes without saying though-- please be safe when using the iron and sewing machine around small children. I just have to throw this picture in here... How did she get so big? Cut the black felt into strips about 1 roughly 1 inch wide by 4.5 inches long. I made sure to cut my strips slight wonky, because, you know, Tigger isn't perfect. Have your chlid arrange the stripes onto the orange rectangle. Slip a piece of stitch witchery or hem tape underneath each stripe. I found the felt and the fusible side of the tape held together, so it was pretty easy to work with. With your toddler a safe distance away, iron each stripe to fuse it to the tail. Then, simply fold the tail in half (wrong sides together) and sew to create a tube. Fold your ribbon in half, and slip the fold ribbon into one end of the tail. Stitch straight across that end. Now all that's left is to enjoy your Tiggers! 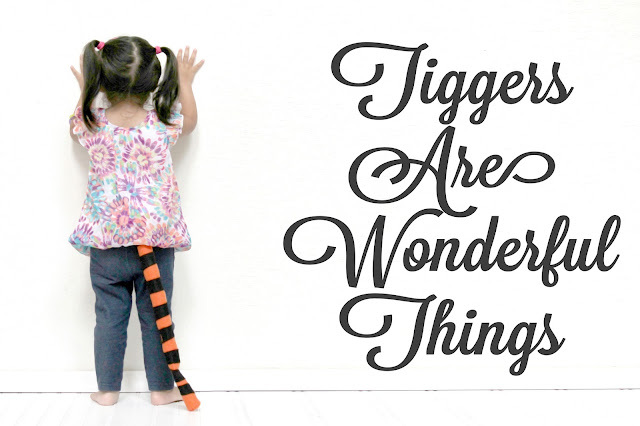 My two were bouncing around the house trying to sing the Tigger song. I hope that you all get to enjoy the movie and the tails as much as we did! You can 'friend' Pooh at his facebook page. And check out all these other posts of Pooh crafts done by other bloggers.